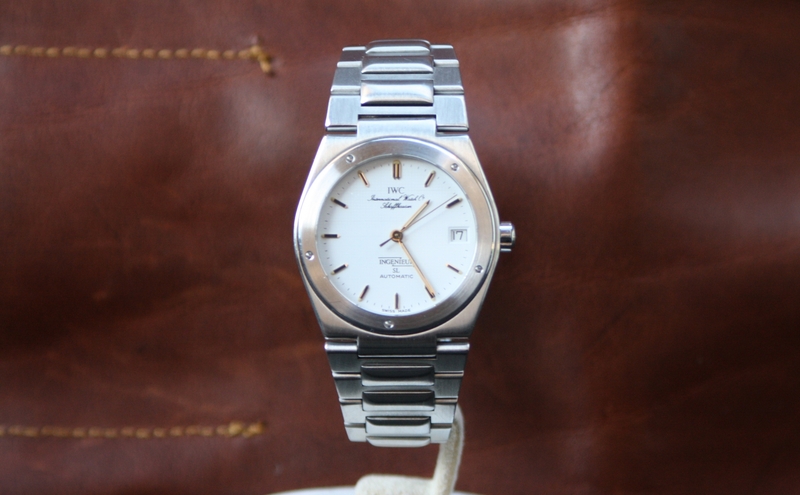 Please let u know if you have any more questions about this well preserved vintage IWC ingenieur. We ship worldwide and also trade in you vintage or modern timepieces. Our philosophy is to sell rare watches in the best possible condition, our prices ar fixed or on request, however we are always willing to listen to your offers and or trade offers. Iwc Ingenier ‘Automatic’ from the 1980’s in perfect condition. This is the 34mm Ingenieur designed by Gerald Genta. It has a central second hand movement with date function. The movement running inside is the automatic 3752 movement with solid gold rotor. The movement of this Iwc Ingenieur is running perfectly and keeping time. Furthermore the dial condition if mint with the tritium on the hands and dial aged to a beautiful brown color. The steel bracelet comes with all extra links and shows no stretch. This iwc ingenieur ref 3506 is the smaller version of the so called ‘Jumbo’ version. 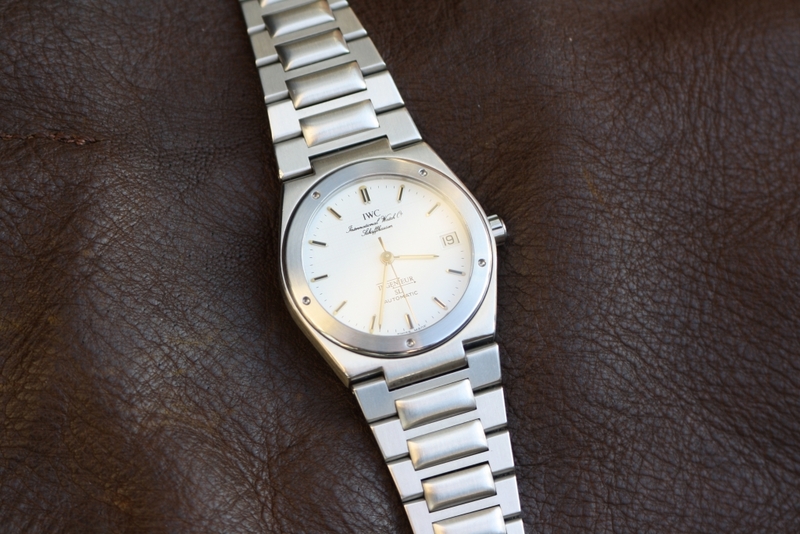 This so called ‘Skinny Ingenieur’ wears very pleasant on the wrist and is much appreciated by vintage watch collectors. The prices for these vintage ingenieur model’s are still affordable compared with the jumbo model, nevertheless it will be hard to find a well preserved example these days. The condition of the watch can be described as very good. The mint looking dial remains in perfect condition, all tritium on the dial is present and aged to a beautiful brown color. Its running perfectly and comes with 1 year guarantee. Please contact us if you have a nice vintage IWC watch which you are looking for to sell. We are always looking for high-end vintage watches from brands as; IWC, Patek Philippe, Jaeger Lecoultre, Cartier Paris, Rolex, Longines and more.